WET available for both the DPL and DPM water savers and in kit form. 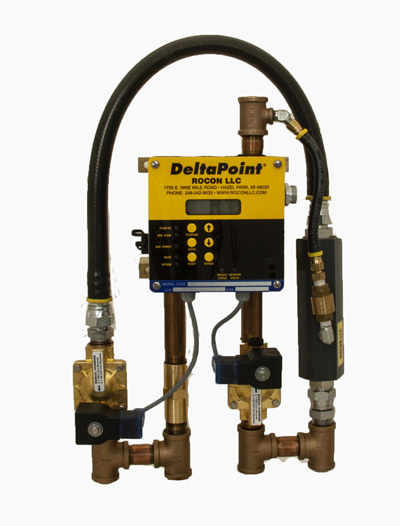 A DeltaPoint Lite (DPL) or DeltaPoint Manifold (DPM) paired with the WET Venturi system when active water travels through a Venturi valve creating a vacuum on the weld lines. Excess water drains from the cooling lines preventing water explosion during cap change / maintenance. Utilization of the WET system not only prevents water expulsion but it eliminates residual water in the weld cooling lines from draining onto the plant floor.